What is a Motion in Limine in a Criminal Case in Massachusetts? Motions in limine are requests brought by the parties and decided by a judge that determine what evidence might be admitted or excluded at trial. These motions are usually filed prior to trial or on the day of trial however they can be presented at any time. Motions in limine are typically brief and concise in form. Some criminal defense lawyers believe that motions in limine are the most important part of trial preparation. This post takes a look at this aspect of criminal trial practice. Sometimes lawyers want jurors to hear or see certain evidence they feel the district attorney might object to at trial. Perhaps there is no definitive law directly addressing the issue. Trying to introduce the material at trial without first getting a ruling from a judge on the admissibility of that evidence can be risky. A judge might shut the lawyer off from continued questioning creating embarrassment in front of the jury. However, if the issue was raised prior to trial through a motion in limine a judge would have time to reflect on the matter and maybe permit its introduction before a jury. If not, at least the embarrassing situation could be avoided. Conversely, there are times a lawyer might want to have certain evidence excluded at trial. If not motion in limine has been filed then the lawyer will have to object during trial to the introduction of the evidence. Regardless of the ruling on the objection jurors might think the lawyer is trying to keep something important from them. All of that could have been avoided if the motion was filed before the attempt to adduce the evidence. Oftentimes there is no definitive rule of law directly addressing certain subject matter in criminal cases. In order to advocate effectively however lawyers may look for parameters to see how the judge will rule. Motions in limine can set the stage early. 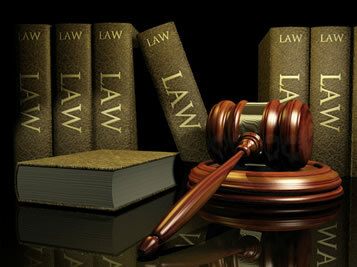 This allows the lawyer to adapt his or her trial strategy to the legal rulings in advance. For example, if, in an assault and battery case you want to show that the alleged victim is a violent person through prior uncharged assaults it will be advisable to get a ruling from the judge in advance. If the judge allows you to present this evidence opening statements and questions to witnesses will be tailored to this issue. If the evidence ruled inadmissible your lawyer will simply focus more on the events surrounding your case rather than on inadmissible facts involving the alleged victim. I can’t remember a case that I tried in the past twenty-seven years where I did not file at least one a motion in limine. Preparing and arguing these motions is a significant component of the practice of criminal law. The rulings on these motions at times determine the outcome of the case. Favorable rulings can assure victory or compel a prosecutor to reduce charges or reduce their plea recommendations. Conversely, unfavorable rulings might dissuade the accused from going to trial. Rulings on motions in limine dictate trial strategy. These rulings impact which witnesses are called to testify or not called to testify. It is important to remember that the relief sought through a motion in limine is usually discretionary and subjectivity plays a role in the judge’s decision. Thus, criminal defense lawyers must be persuasive and convincing when arguing their position.